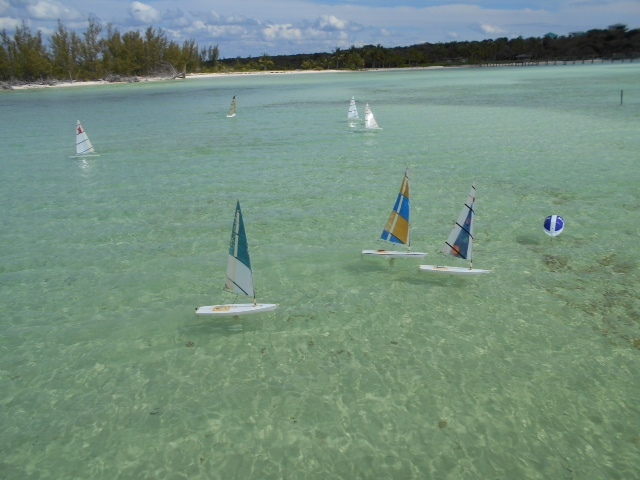 The RC Laser Tour de Abaco finished our sailing season with a beautiful day at Cherokee Sound, Abaco. Tim and Julie Sands put on a fantastic picnic lunch and grilled the hot dogs that were second to none. High tide was at 5:00, so we greeted some new friends while we waited for the tide to come in. 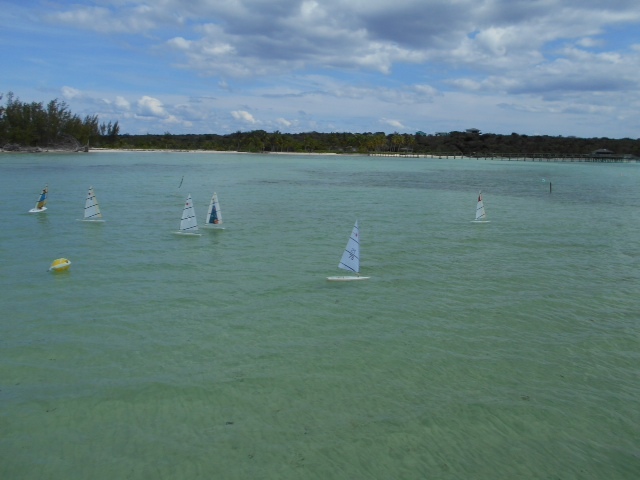 At low tide, the sailing area only has a few inches of water. Winds were brisk, off shore, and out of the north-west. It was the top end for the B-Rigs. Rachael Sands and Ms. Klein set a good race course. We launched from the steps on the middle of the dock, and sailed thru the dock to the race course. 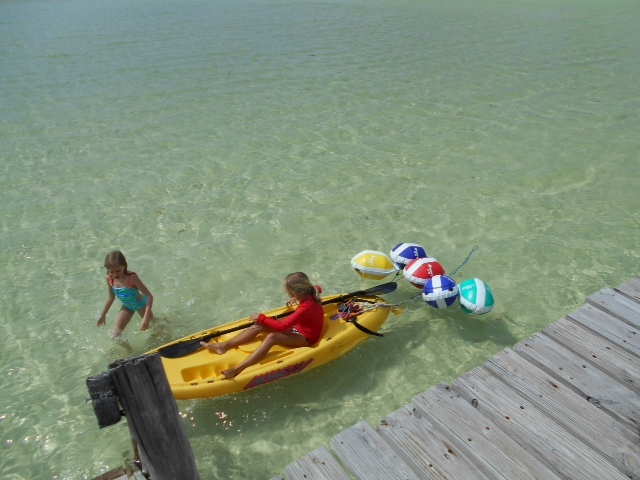 The dock supports are built from casuarina pines tree cut from trees on the beach. 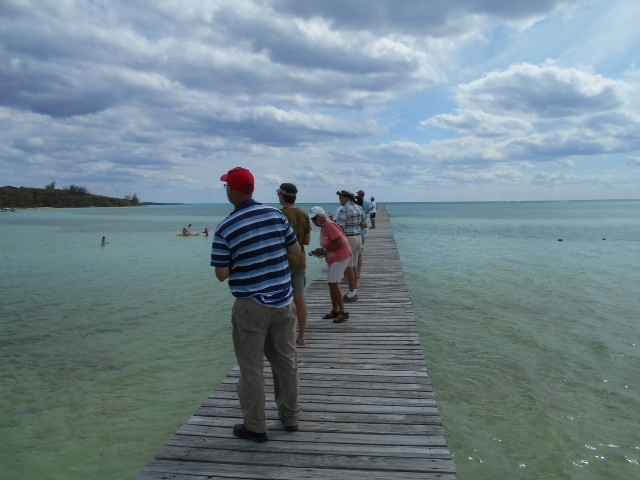 This is the longest wooden dock in the Bahamas and is 770 feet long. So we can get a good racecourse with just about any wind direction. 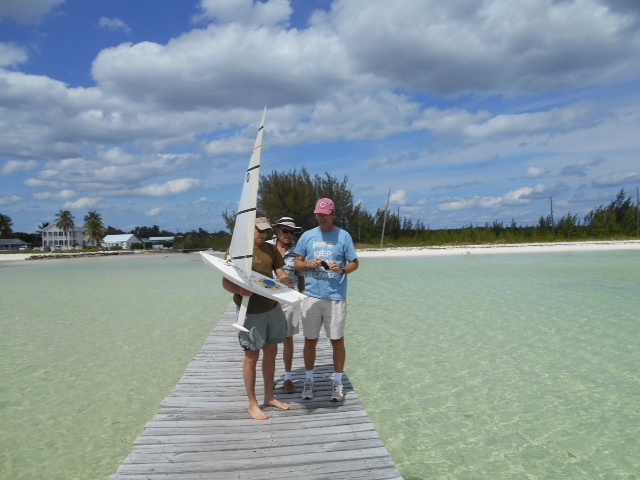 But the dock did put out a surprisingly large wind shadow at the windward mark. 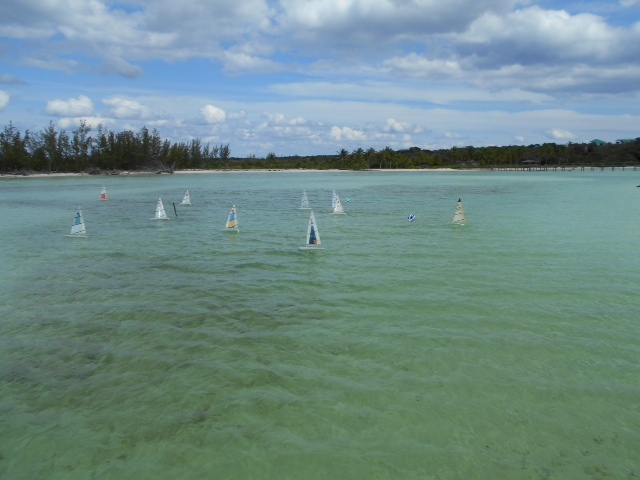 The leeward mark was just out of range for good viewing, and we had many people missing the mark and many pile ups at the mark. We moved the mark much closer, and that didn’t seem to help. 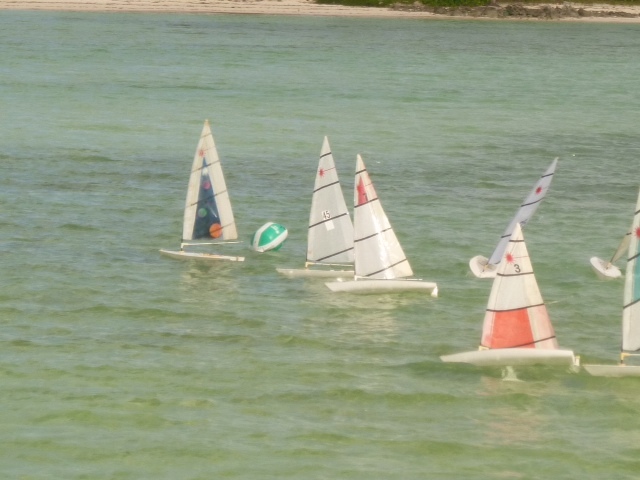 We probably should have been sailing C-Rigs, and lots of boats were rounding up at the leeward mark, and everyone got caught in irons at least a couple times. We started off with our usual practice race. Newbie Peter Klein from Jackson Hole, Wyoming won the first race right out of the gate. Then Jim Kaighin won the next 7 out of 8 races. Anders Ljungholm won the last race of the day. This turned out to be the tie-breaker over Tim Sands for 2nd place. Peter Klein’s win in race #1 also turned out to be the difference in winning a 3 way tie-breaker for 5th over Victor Patterson and Jeff Gale. Joey Gale had a good showing finishing comfortably in 4th. We did have the usual assortment of breakdowns. We kept Rachael and Ms. Klein busy rescuing boats. 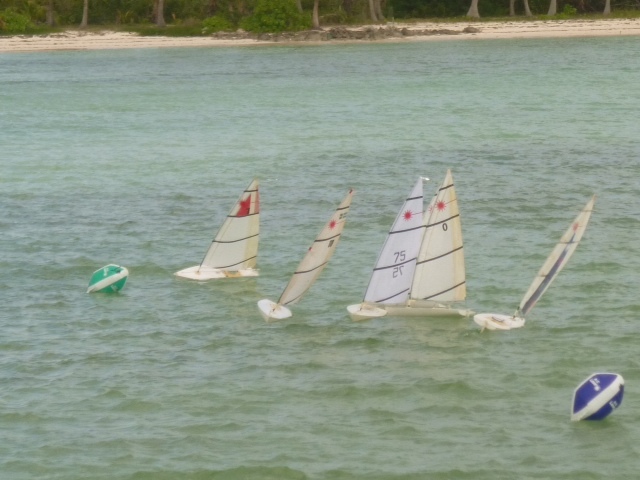 We sailed 10 straight races, plus a practice race with no breaks in between. So boats were filling with water and batteries were wearing out. 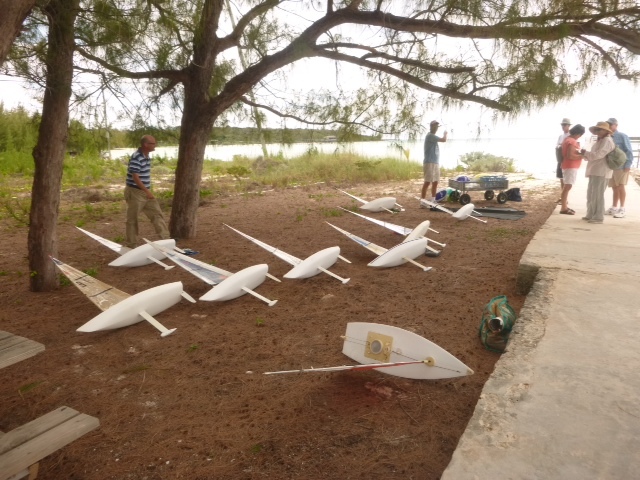 One boat came unspooled, and we were scrambling for spare parts before the boats even hit the water. 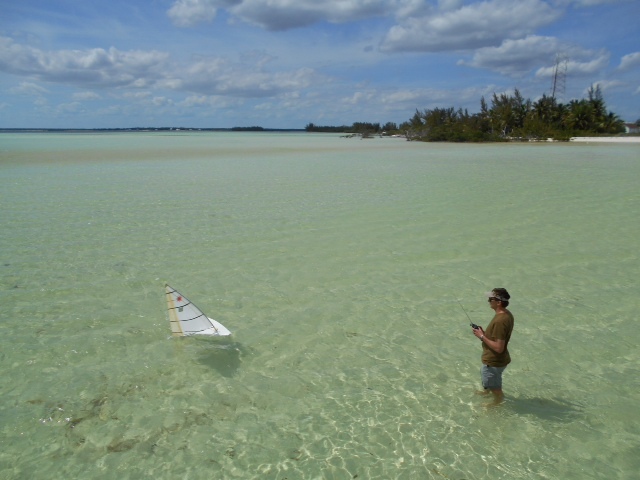 But it turned out to be a great place to sail and we will be back. Many thanks to our hosts, Tim and Julie Sands. And to our steadfast race committee crew, Lenore Mulock and Ylva Ljungholm. Thanks to Ylva, Julie, and Nan Gregory for taking pictures. Results below.